Bob Sears, MD faced down the Medical Board of California (MBC) and has come through with his license to practice fully intact. There was no admission of wrongdoing by Dr. Sears, the case never went to trial and hence there was no hearing. The lack of sweeping disciplinary action in the case against Dr. Sears ran counter to the continued mainstream media narrative of an anti-vax doctor on trial for his anti-science beliefs. As media outlets beat the drums of an inevitable medical license removal spelling doom for any pediatrician who dare write vaccine medical exemptions in California, an unsensational reality has just came into focus. You may be wondering, who is Dr. Sears? If you have been reading the reporting of outlets like the Los Angeles Times, Forbes or Jezebel, you may not have a wider, balanced understanding of Dr. Sears or his practice. A California pediatrician for two decades, Dr. Sears has been out-front in promoting a more patient-centered approach to pediatrics appearing on the “Dr. Phil” show, the “Ellen DeGeneres” show, CNN’s “House Calls” with Dr. Sanjay Gupta, CBS and PBS among others. Publicly confronting the conflicting science and inherent risks of a one-size-fits-all vaccine schedule, Dr. Sears has been a vocal, early adopter in respecting parental choice and giving his patients full informed consent. He is the co-author of six books as well as his Amazon Best Seller solo work titled The Vaccine Book – Making the Right Decision for your Child. The Vaccine Book, which aimed to provide parents with a fair and objective look at childhood vaccines, coupled with Dr. Sears’ growing mainstream popularity appeared to be the transition point in which both corporate media and the orthodox medical community began to turn on him. 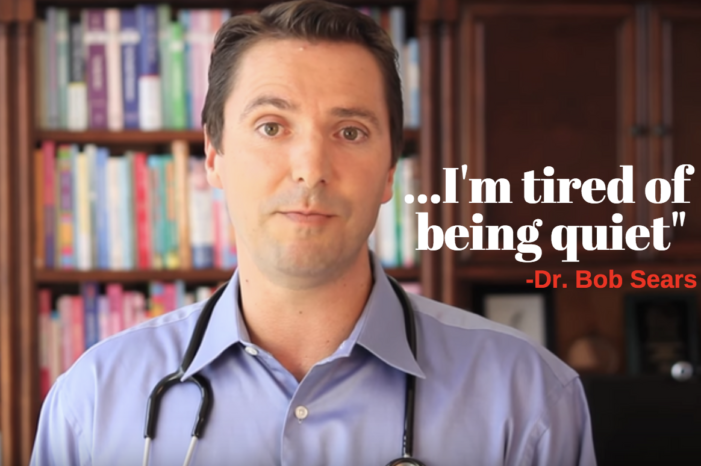 Despite being on-record admitting vaccines work, Dr. Sears was, and has been continually, labelled anti-vaccine and a quack. His implicit guilt throughout much of the media appears to stem from his offering of an alternative vaccine schedule, for publicly opposing mandatory vaccination and for questioning the conflicting science underpinning the current US Centers for Disease Control and Prevention’s vaccine schedule. The national mood and discussion about vaccines changed in July of 2016 when California enacted one of the most aggressive mandatory vaccine laws in the nation. Passed in the face of large, sustained public protests against the legislation, California Senate Bill 277 (SB277) was the wake-up call for all American families who thought forced medicine couldn’t happen to their children in this country. Although Dr. Sears’ MBC case started before SB277 took effect, the media jumped at the opportunity to use his case as an example to create a chilling effect for other pediatricians with concerns about vaccines. Leading the pack was the Los Angeles Times, now owned by a pharmaceutical company billionaire, who targeted Dr. Sears with bias reporting while simultaneously using his ongoing case as a symbolic springboard to float headlines like 2017’s Why hasn’t California cracked down on anti-vaccination doctors? Often using nebulous groups to insert talking points, writers for the Los Angeles Times used catch-all phrases like ‘experts’ and ‘vaccination advocates.’ For example, 2016 Los Angeles Times articles stated, “Vaccination advocates see the medical board’s action [against Sears] as essential to enforcing a new California law…” and “Public health experts say fears about vaccine safety are rooted in a report linking vaccines to autism…” Such sweeping statements, all too common in media today, only serve to muddy the waters of legitimate debate taking place in public and professional settings. Improper media polarization has also led to the the unfair persecution of parents with appropriate and logical concerns surrounding their child’s vaccinations. Physicians for Informed Consent stands with Dr. Sears. The patient’s mother described two severe vaccine reactions, and Dr. Sears had an ethical obligation to protect the two-year-old child from further harm. It’s not clear why the Medical Board of California disregarded the mother’s statements about the severe vaccine reactions that her child survived as an infant. Too often, patient medical histories get disregarded, and it’s rare to find a physician who listens carefully to the patient. It is even more outstanding to find a pediatrician who not only listens to the patient (or patient’s parents) and acts in accordance with the Hippocratic Oath, but also keeps up-to-date with current vaccine research and is knowledgeable about severe vaccine side-effects. In the end, after all the suggestive headlines and leading rhetoric, Dr. Sears’ uneventful MBC disciplinary action showed the lengths at which some media outlets will go to provide sustained, unbalanced coverage towards influential people who champion parental choice, extol informed consent and question the incomplete science of pharmaceutical products. At this stage, the public is no further along in understanding how the MBC feels about vaccine medical exemptions and the California doctors who write them. As it stands now, patient-centered pediatricians appear to have been given encouragement to continue their collaboration with parents while upholding the tenet of informed consent and their oath to do no harm. The green light also signals a continued opening for pediatricians to exert their honest medical judgement while focusing on the care and needs of each individual child. 25 Responses to "Dr. Sears Emerges With Full License to Practice, No Admission of Wrongdoing"